If your dream is to elope in California then look no further than Cali Officiants – we love performing elopements and we’ll make yours meaningful and memorable! Many couples who hire us aren’t planning a huge wedding, but they still value their wedding ceremony and want it to be unique, special, and more personal than getting married at a courthouse. With a full, diverse team of professional wedding officiants located all over California, and a dedication to providing elopement ceremony services to all couples, we’re here to serve you. Perhaps you and your partner are planning an intimate ceremony for just the two of you, or maybe your closest family and friends will be surrounding you on your special day. Whatever your vision for your wedding ceremony, we’ll help you bring it to life. Our California Elopement Packages offer simple ceremonies, bundled ceremonies with photography, and more. For information on getting a marriage license in California, please visit our California Marriage License Requirements page. Our California Elopement Packages are offered through our partnership with Blue Sky Elopements – please use the button below to check availability. 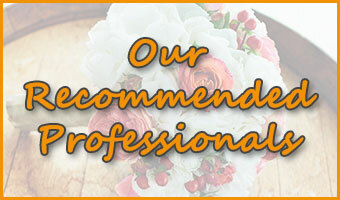 For full-scale weddings (not elopements) please click here to contact Cali Officiants!